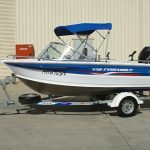 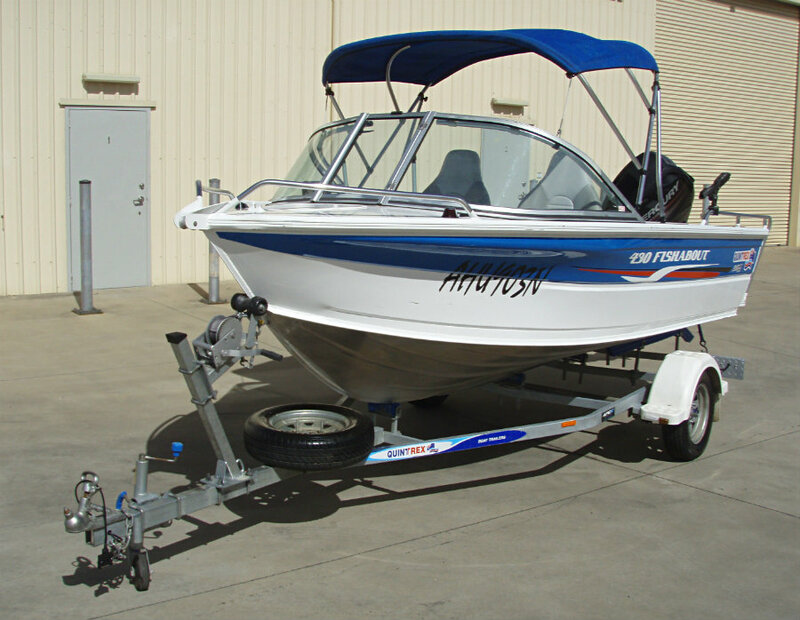 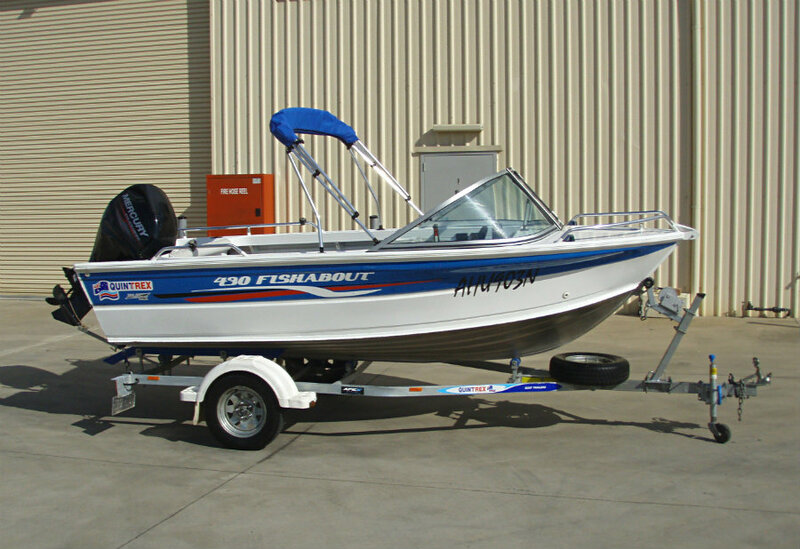 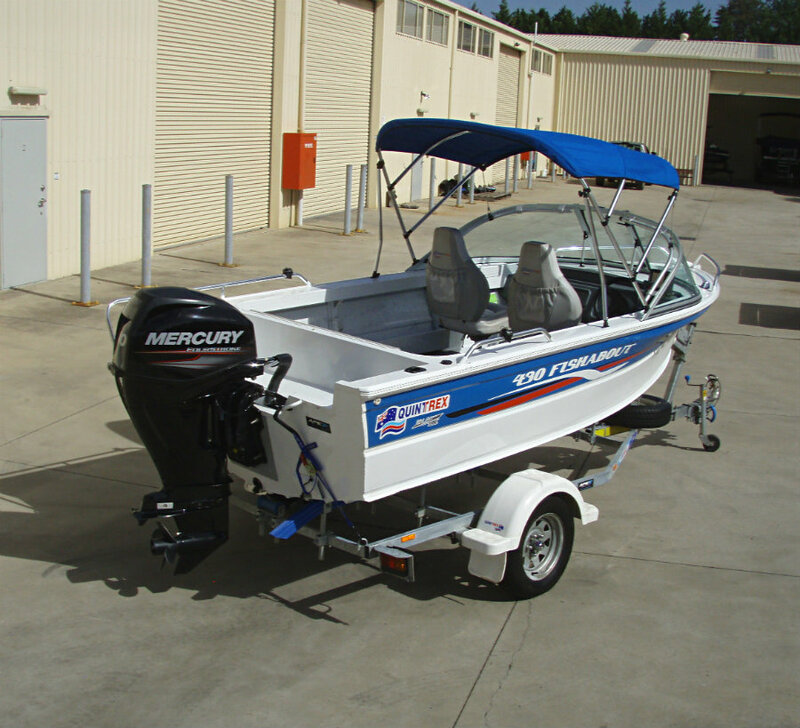 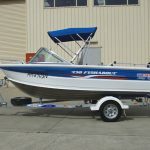 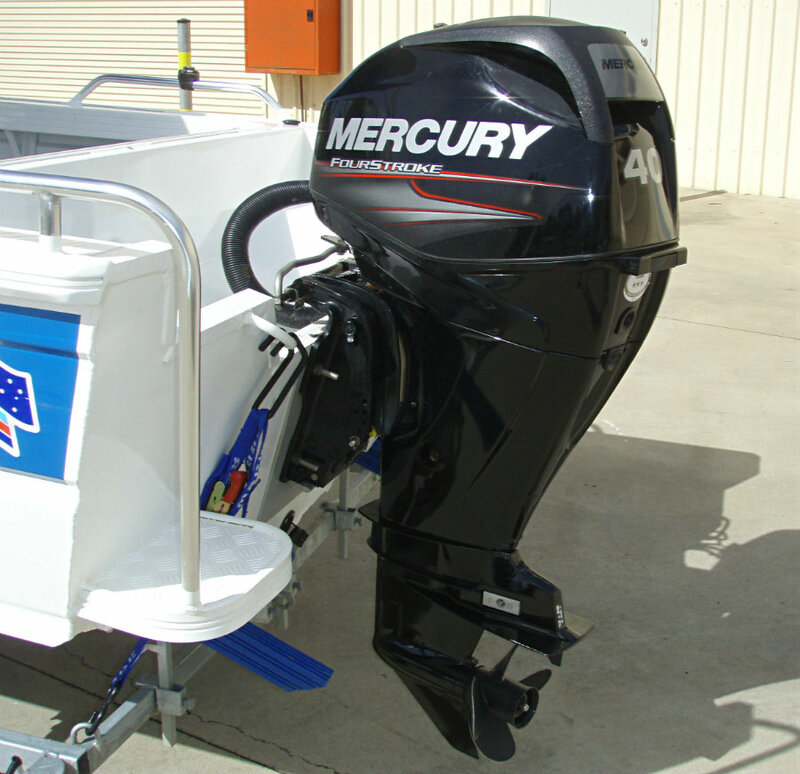 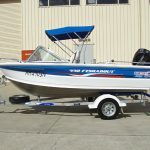 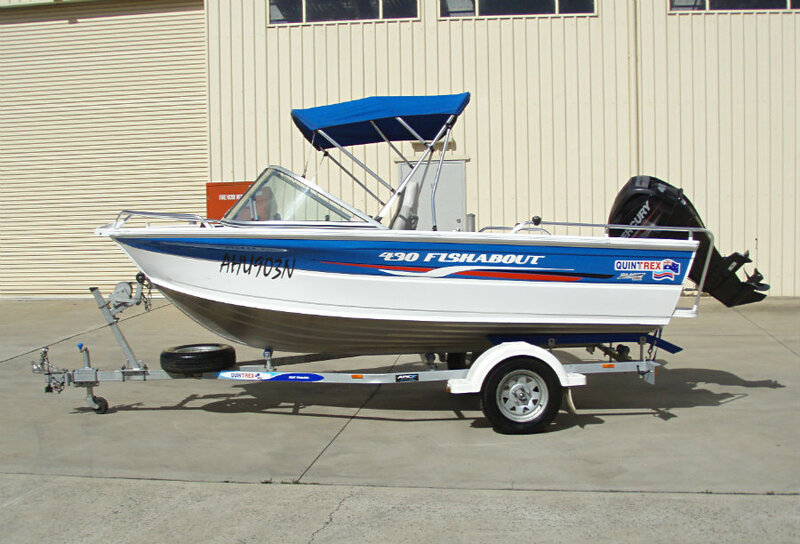 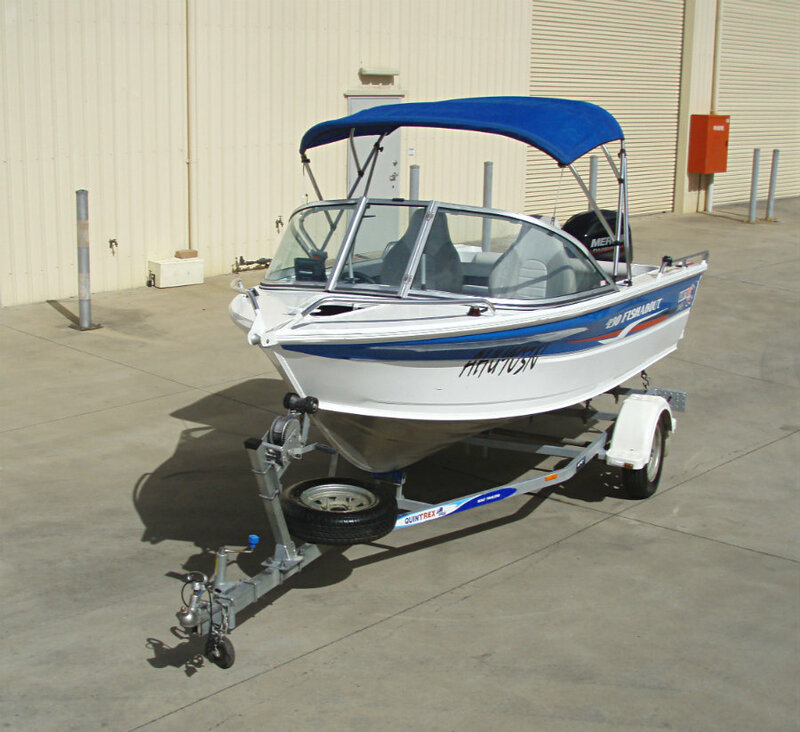 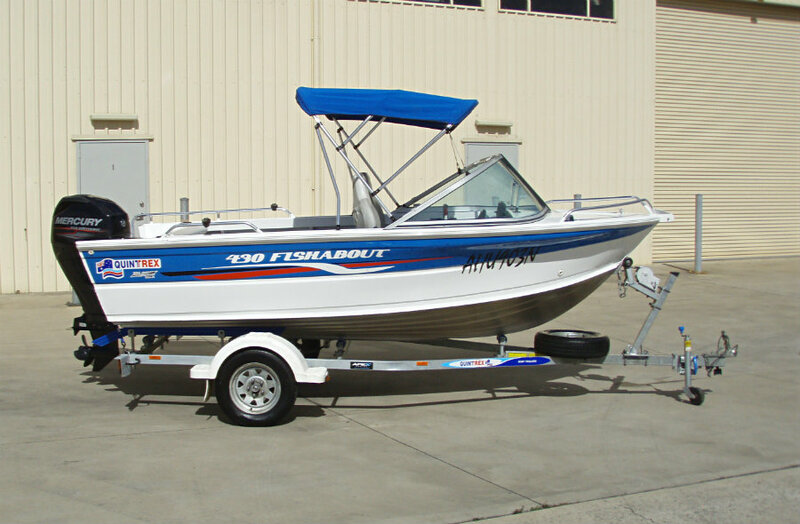 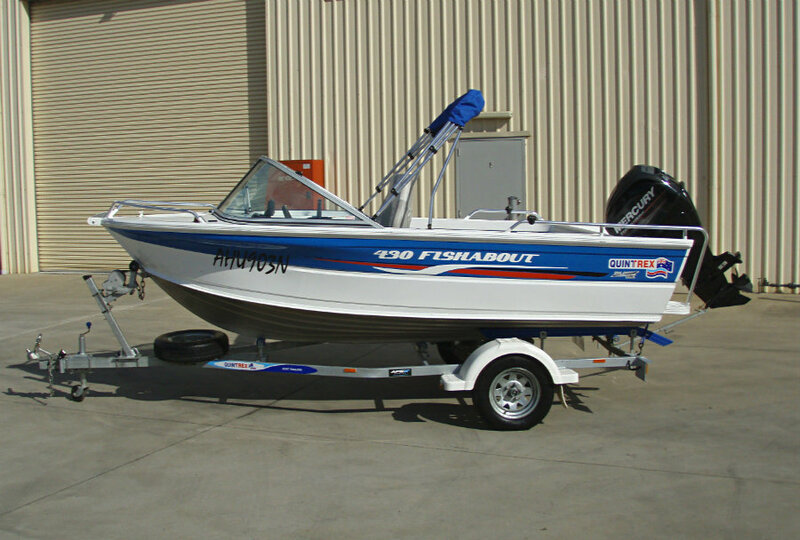 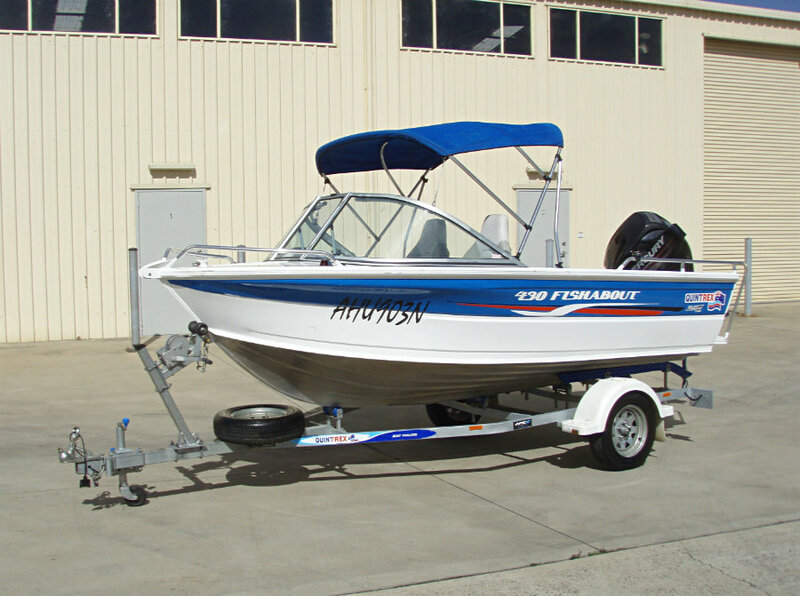 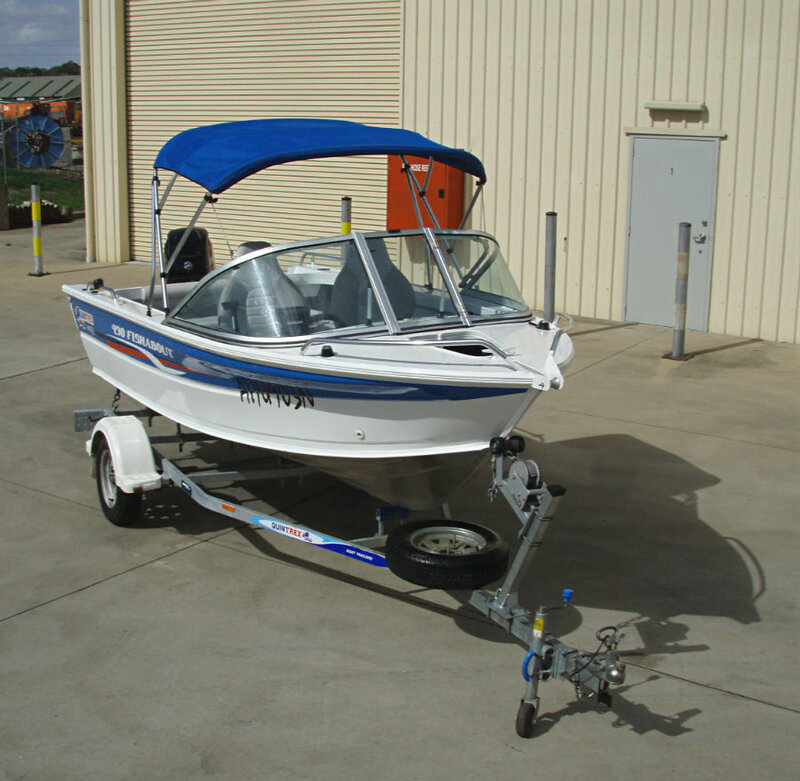 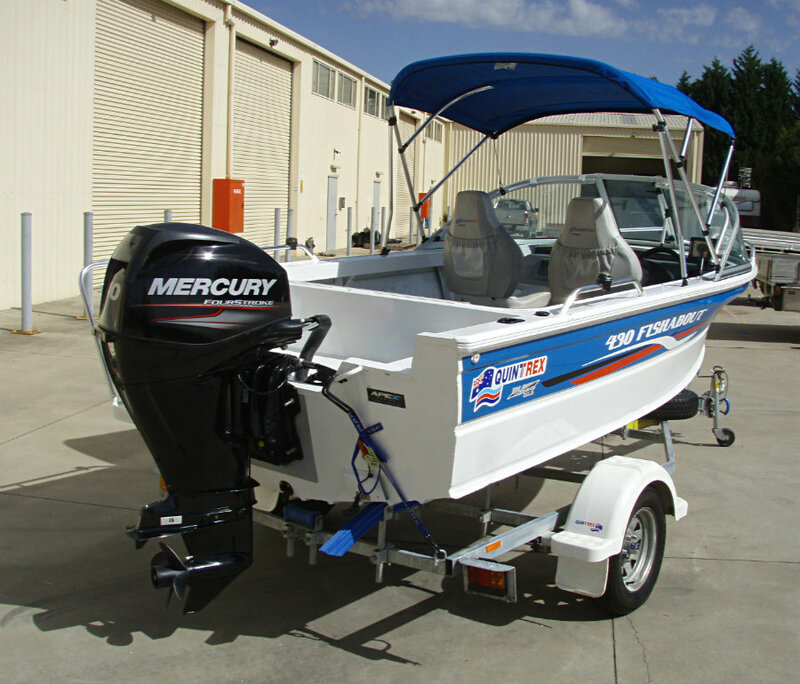 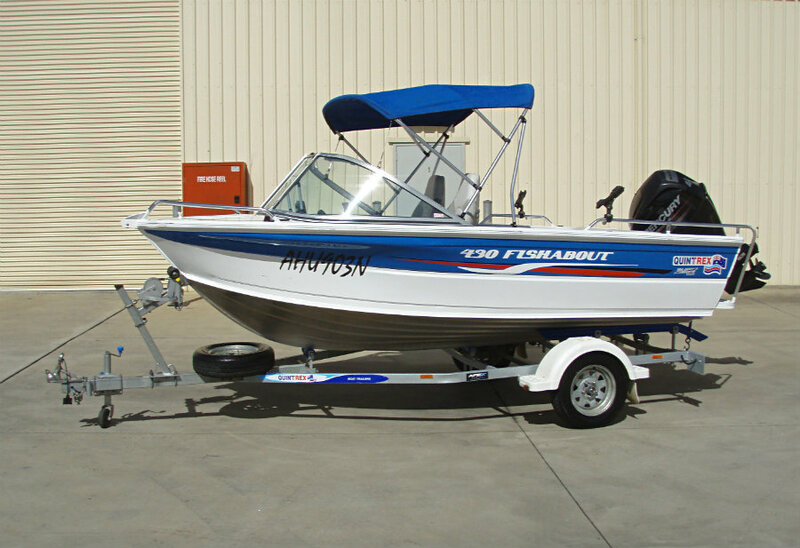 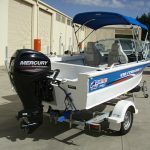 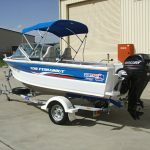 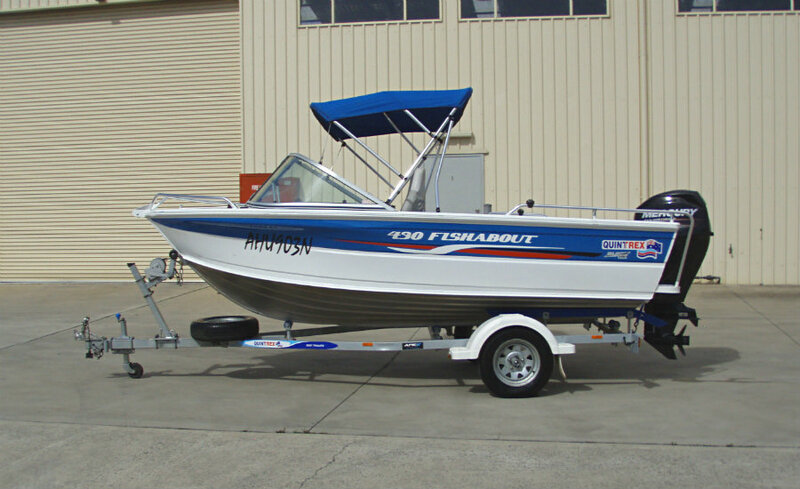 2014 Quintrex 430 Fishabout powered by a 747cc 3-cyl 40hp EFI Mercury 4-Stroke outboard engine and showing 356 hours of FRESHWATER use only. 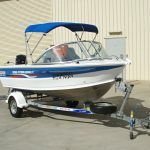 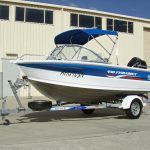 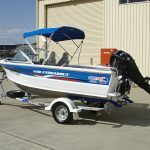 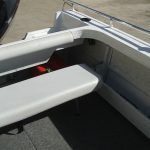 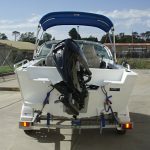 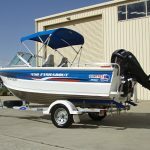 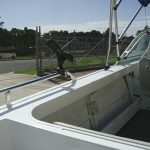 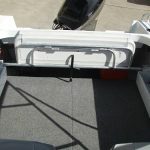 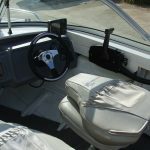 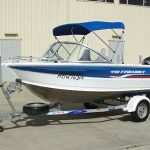 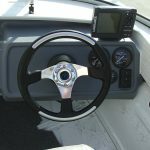 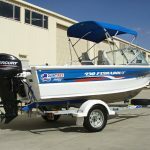 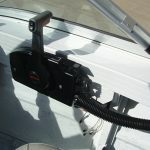 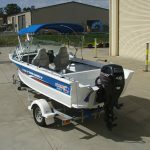 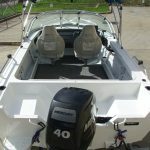 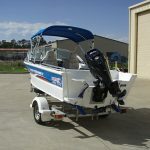 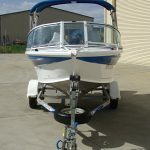 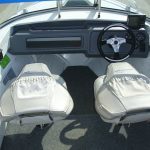 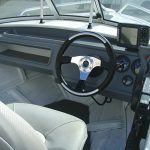 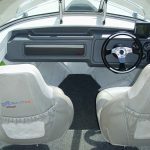 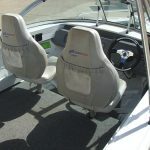 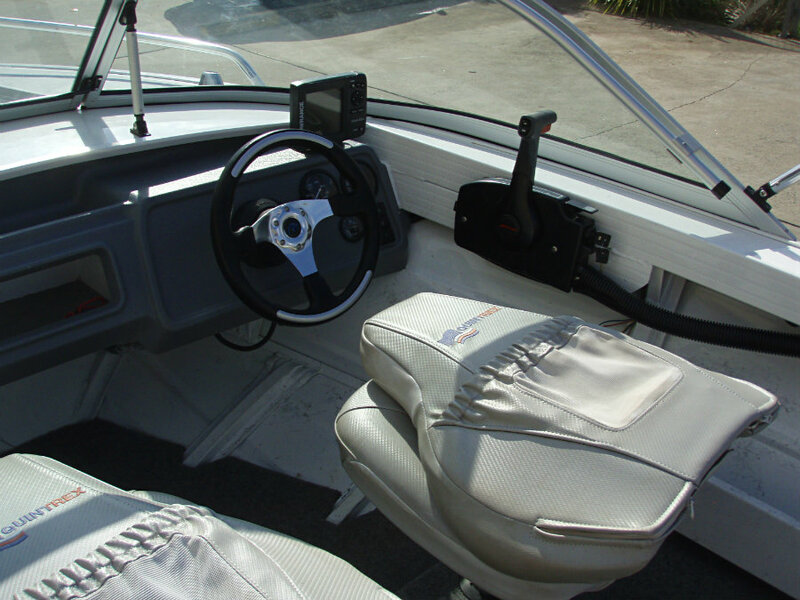 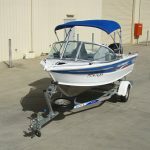 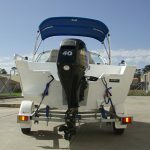 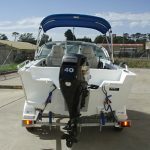 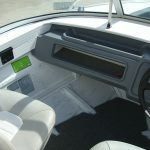 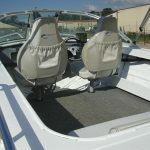 With rod holders, drink holders and a transom step and rail for easy access the 430 Fishabout has all the essentials for a fishing trip or a cruise around the harbour with plenty of room for five (5) adults. 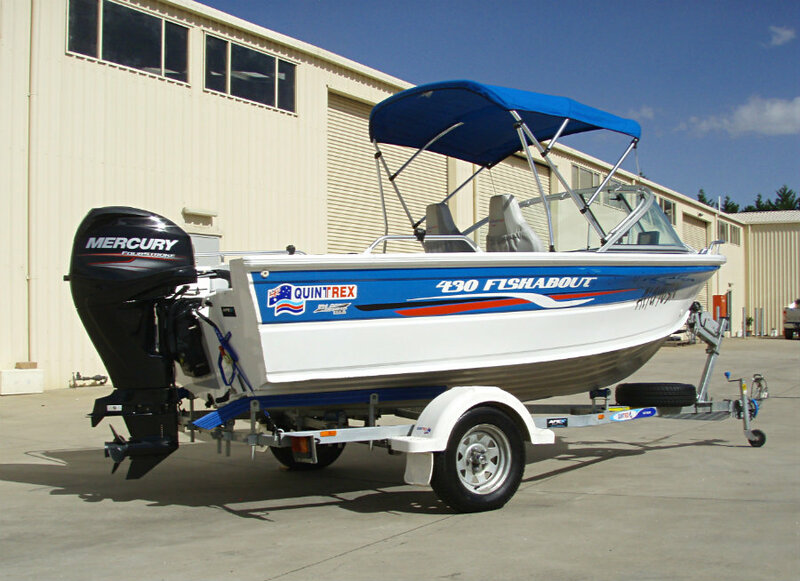 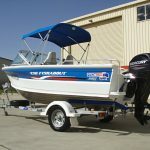 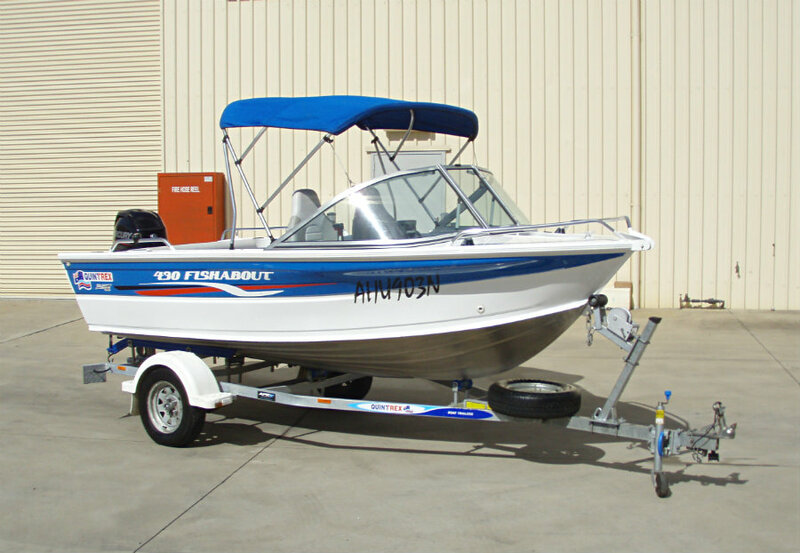 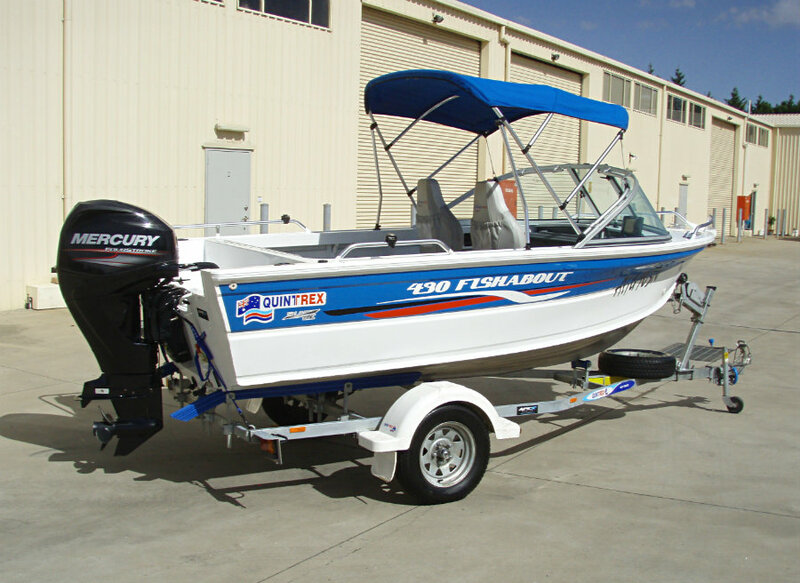 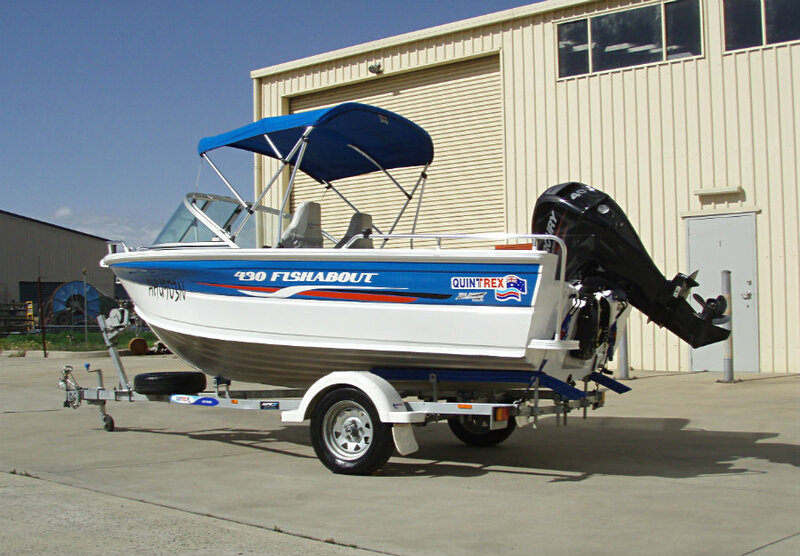 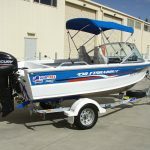 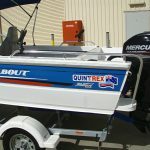 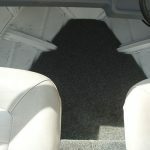 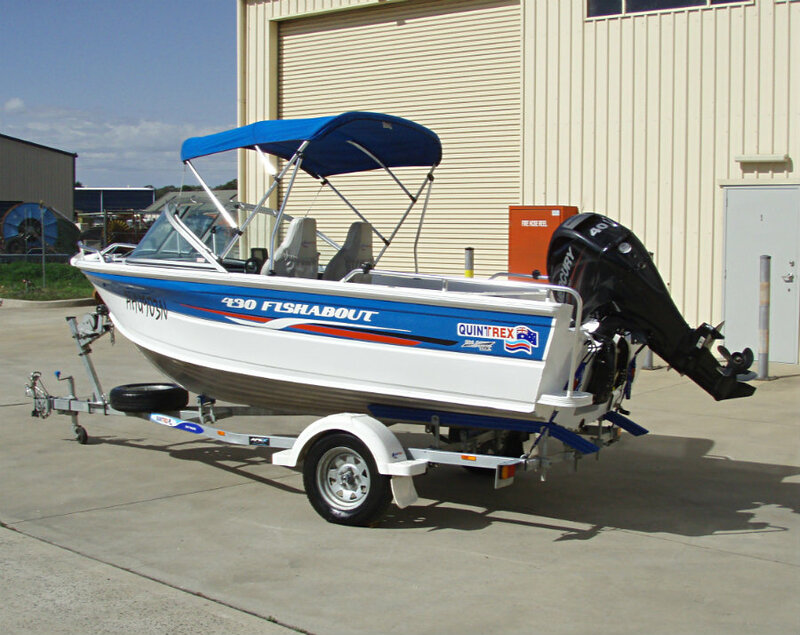 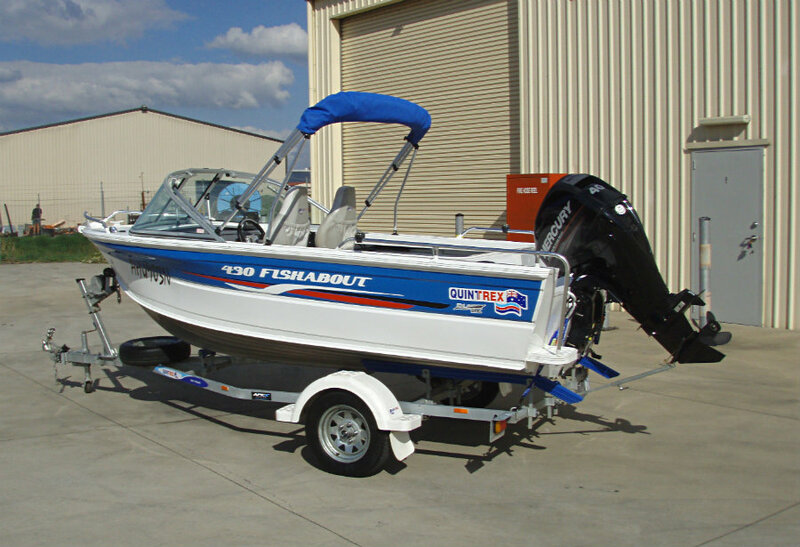 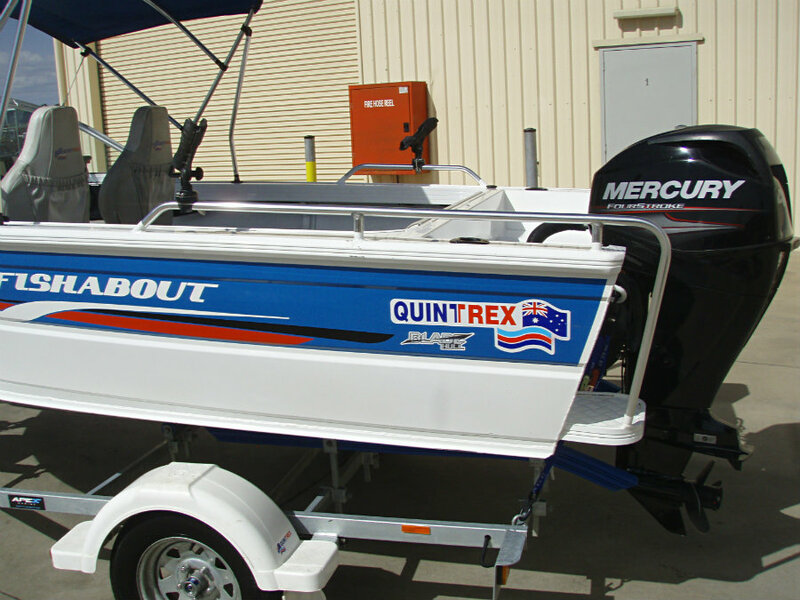 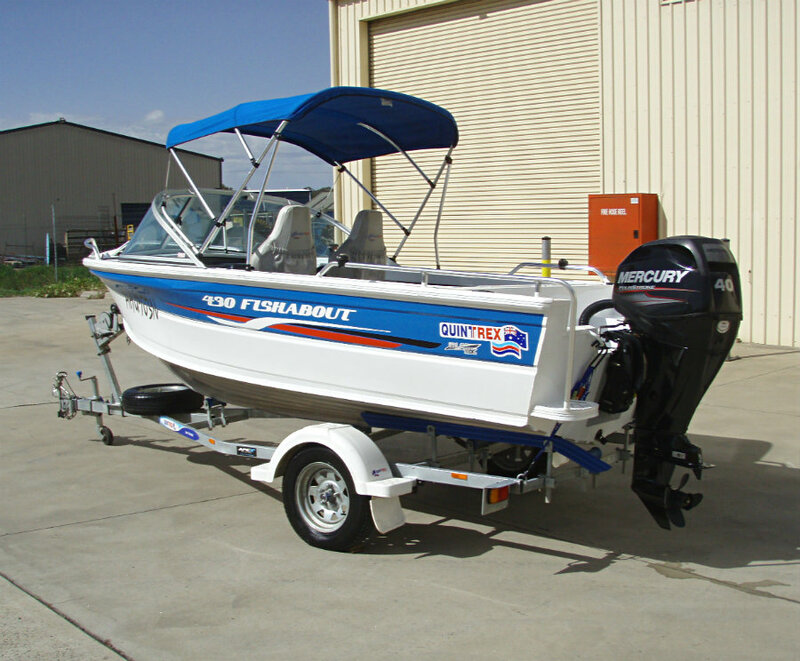 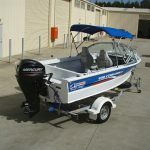 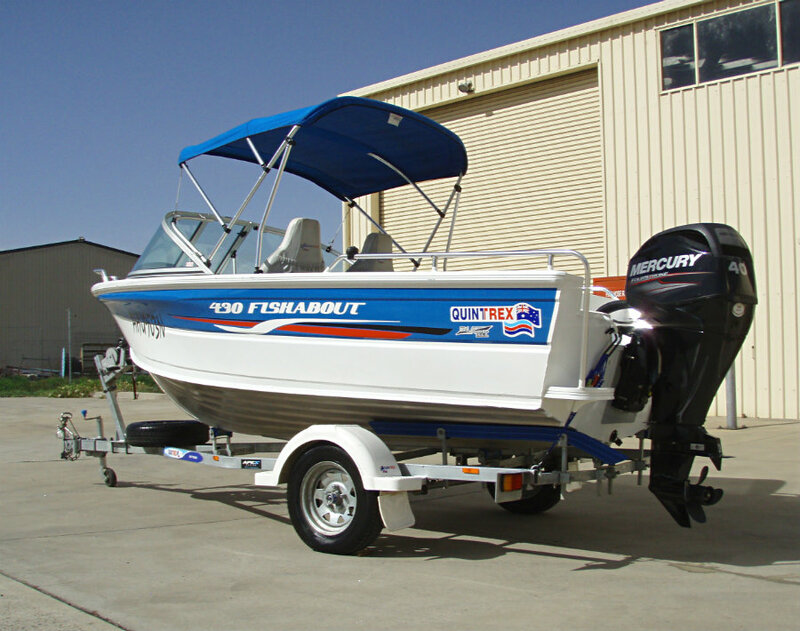 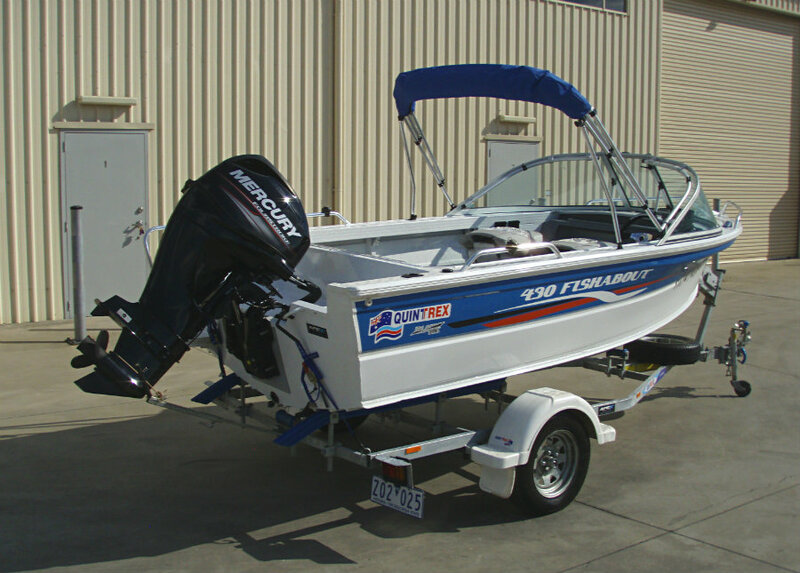 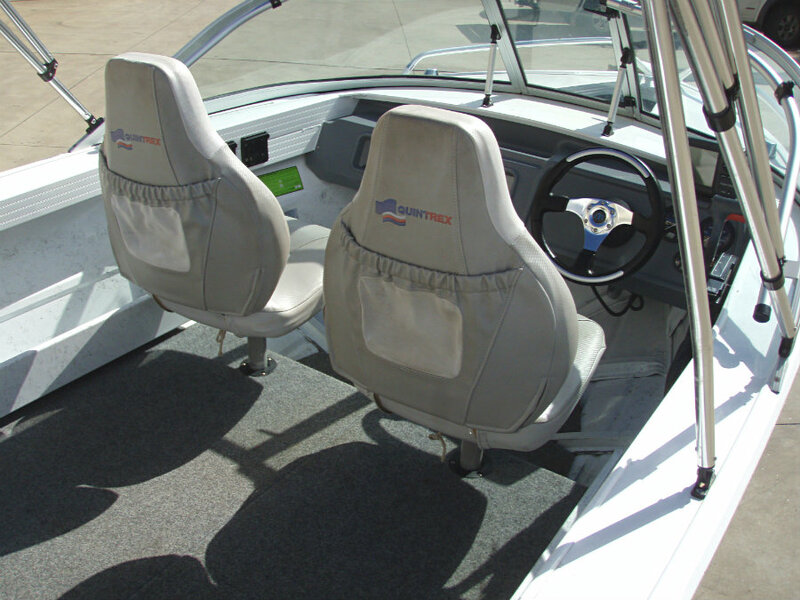 The Fishabout range is a popular choice among Quintrex buyers and is the first series in the runabout range. 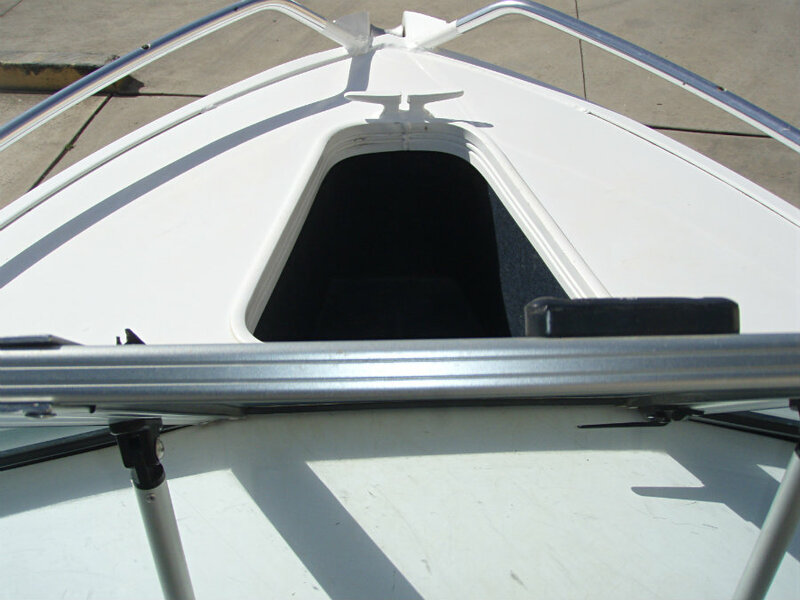 All Fishabouts feature the famous Flared Bow and Blade Hull as standard. 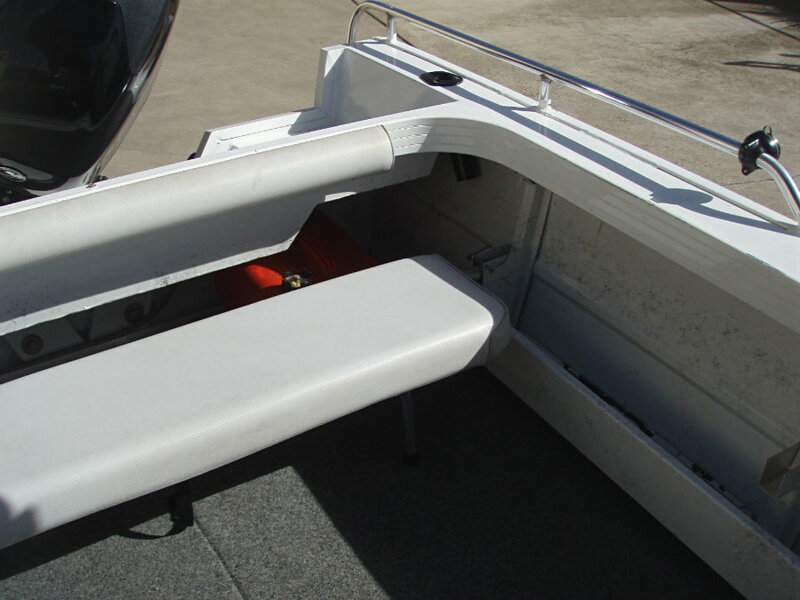 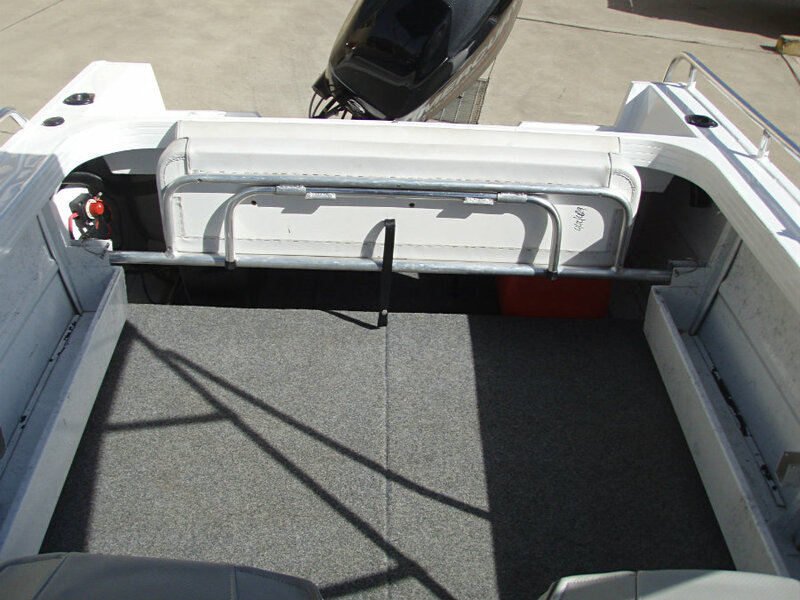 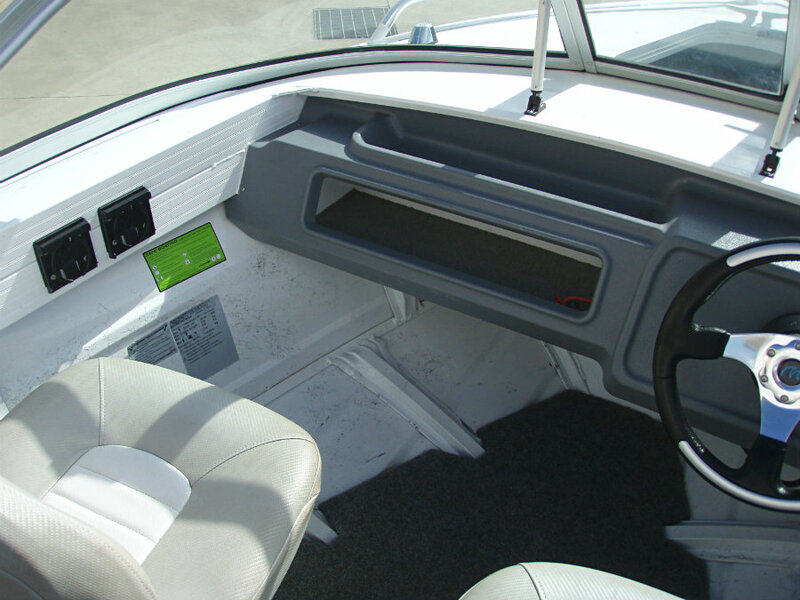 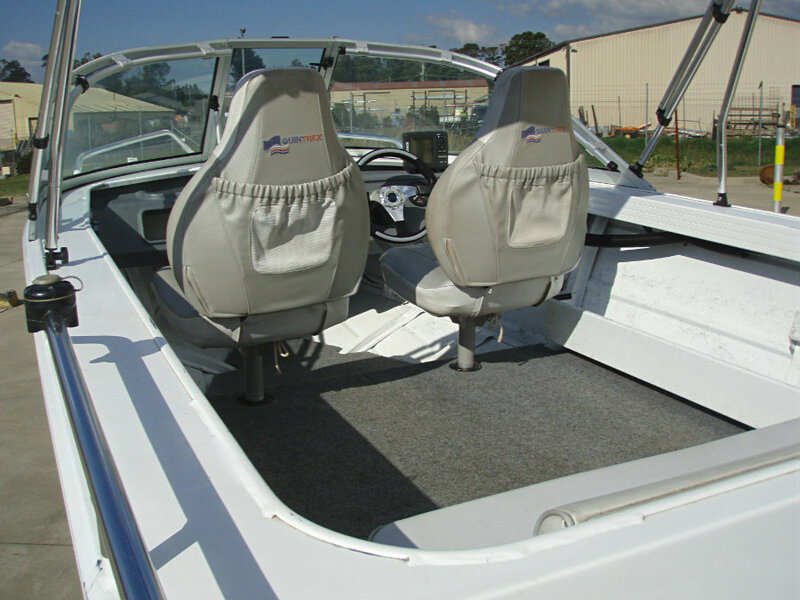 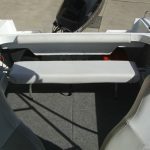 A painted hull, open side pockets, rails and rear lounge all come standard in the range. 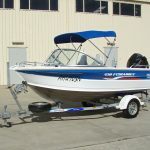 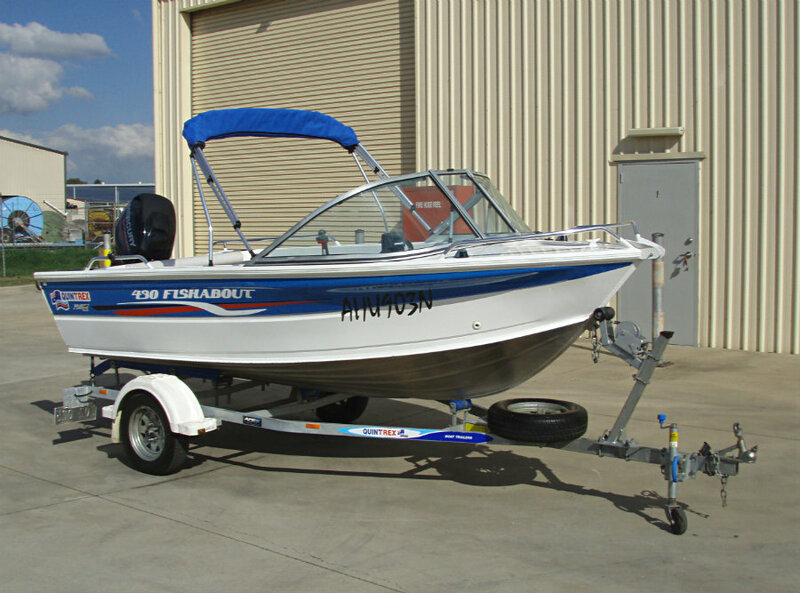 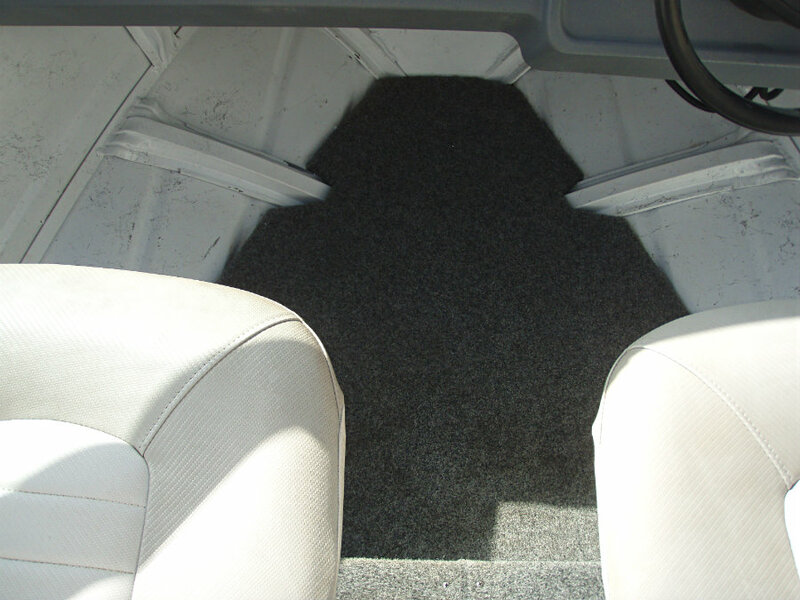 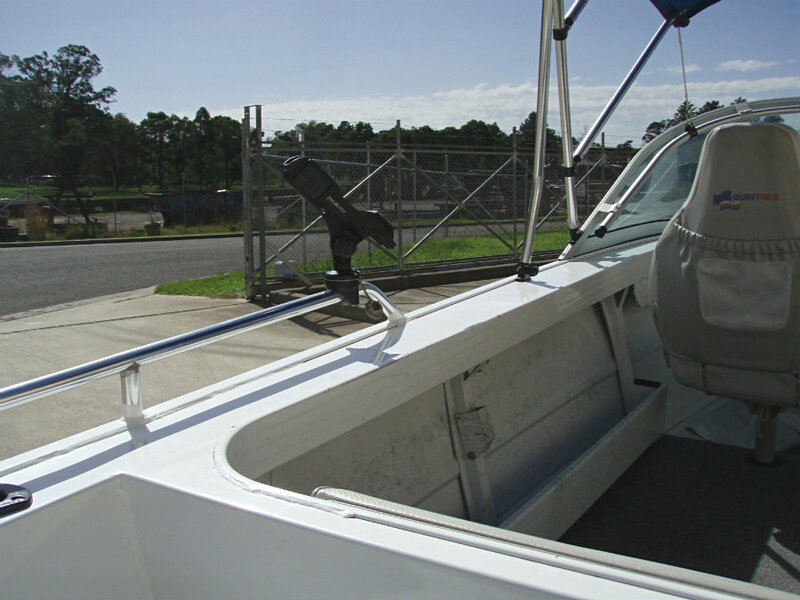 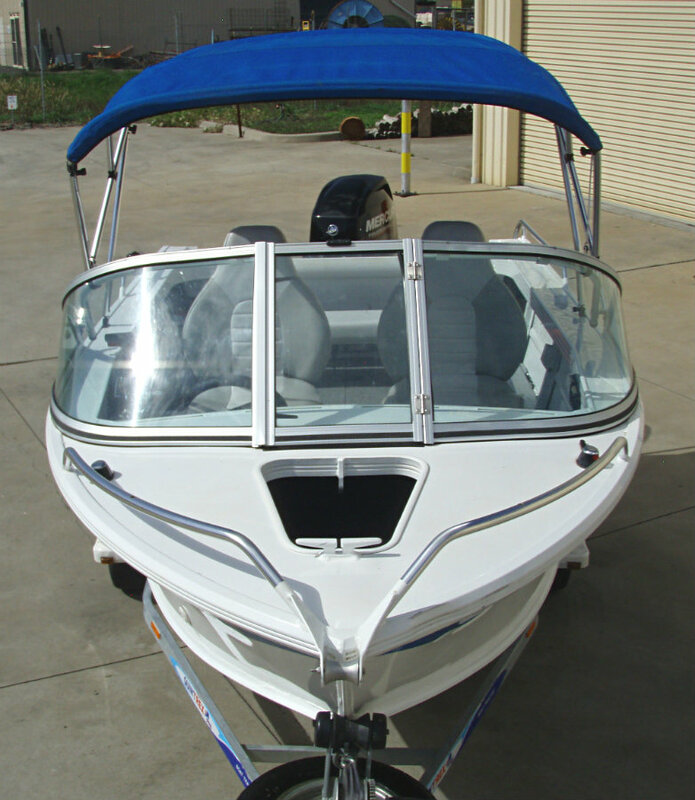 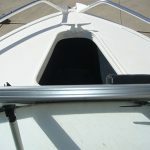 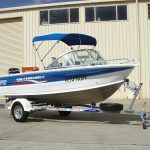 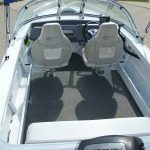 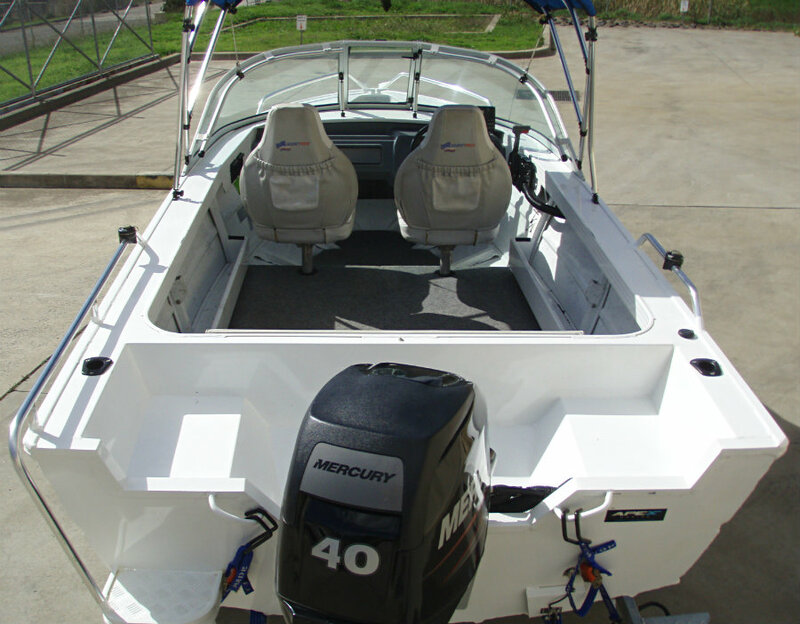 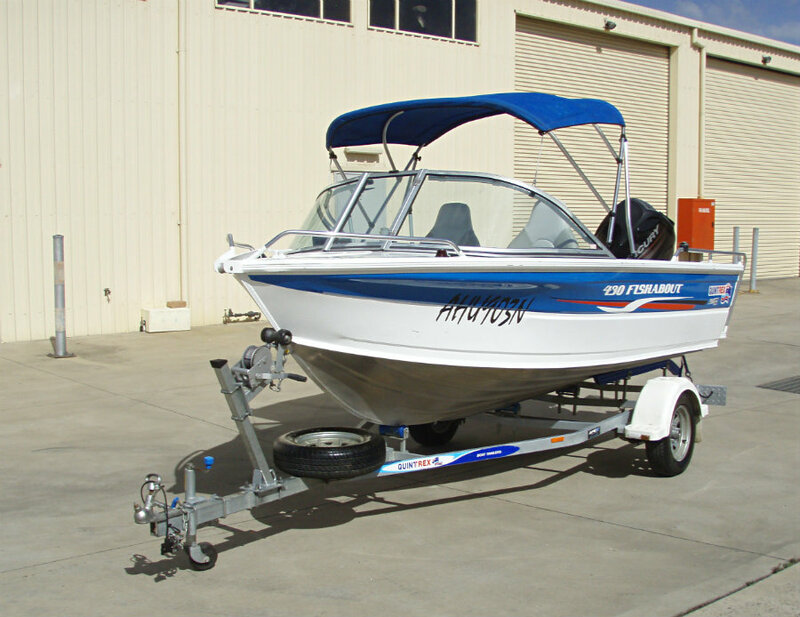 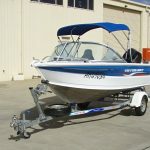 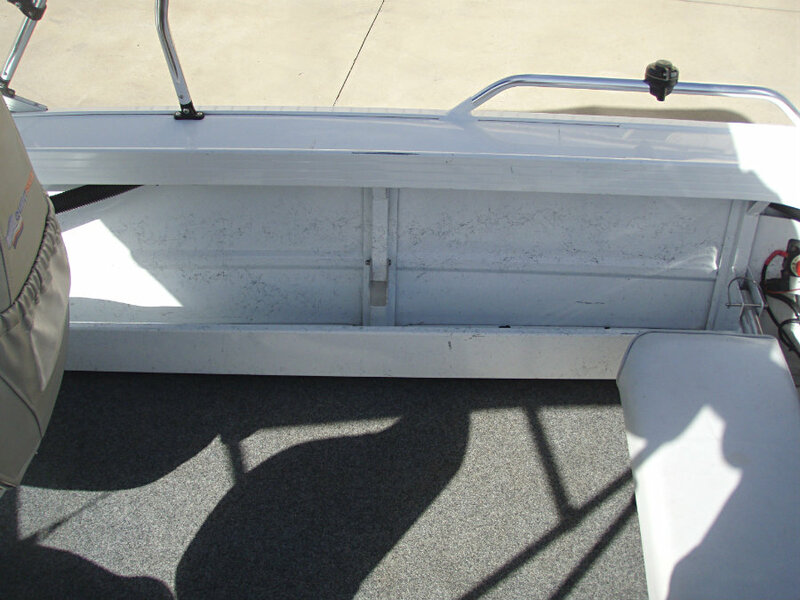 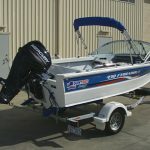 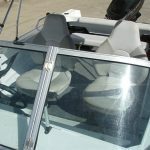 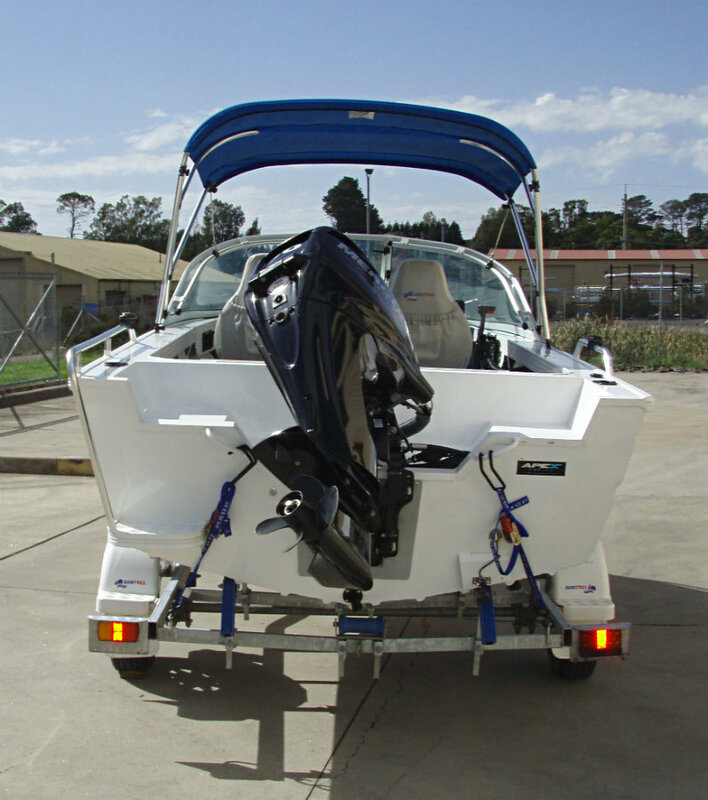 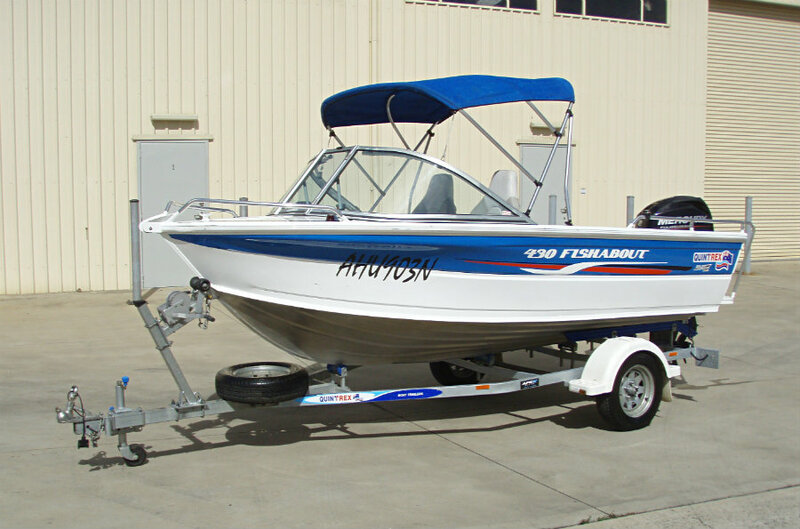 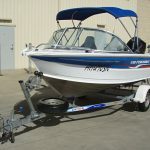 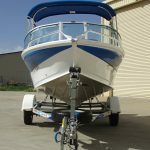 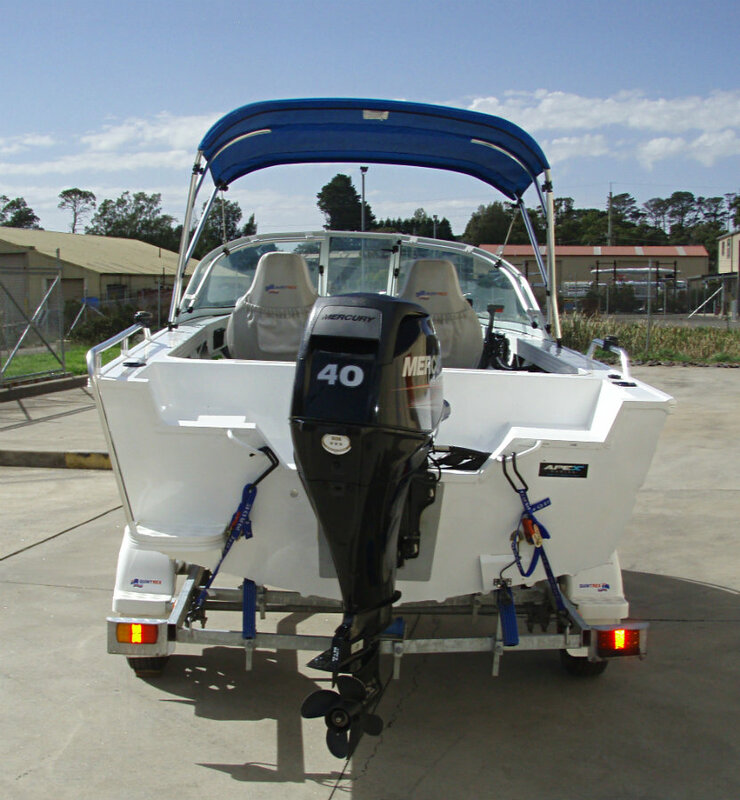 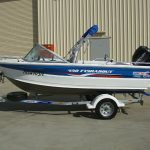 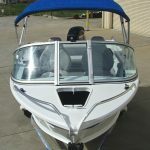 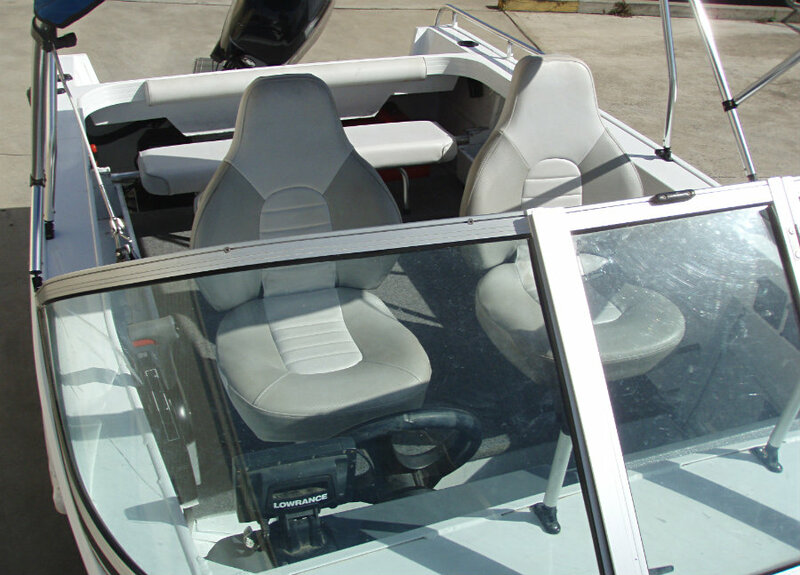 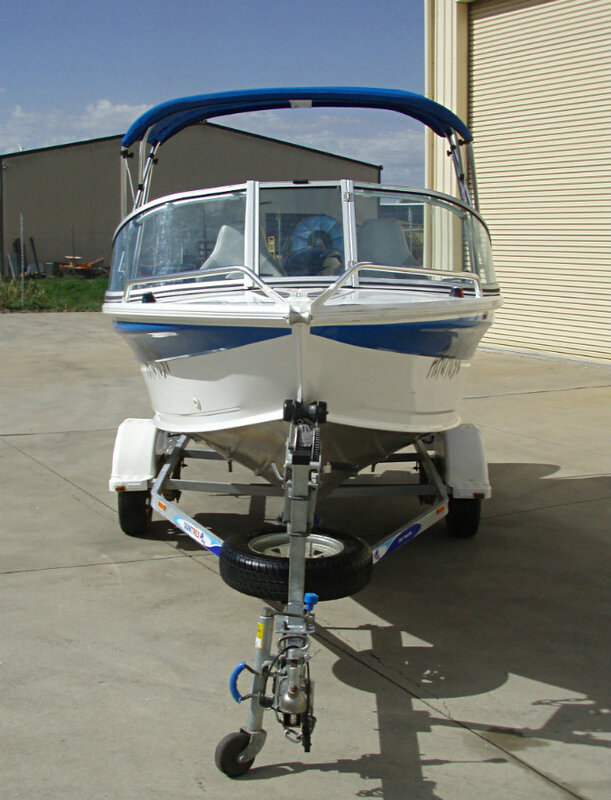 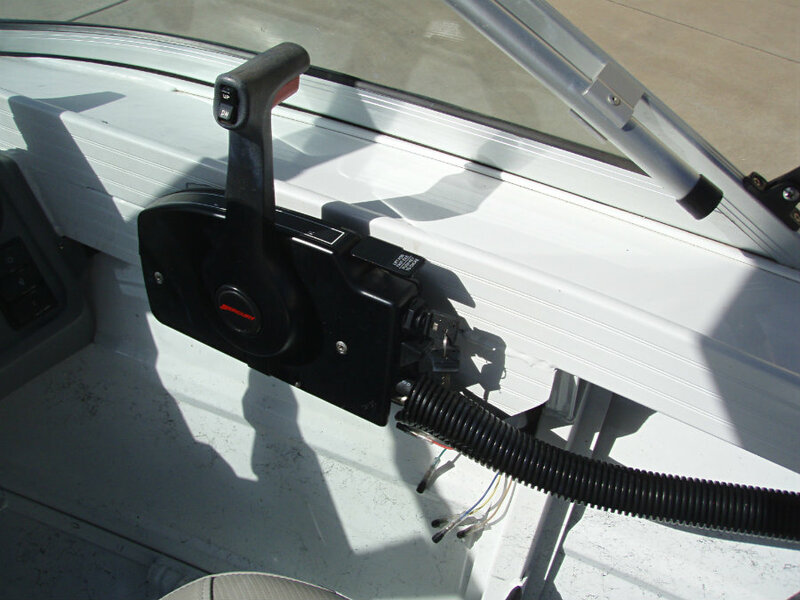 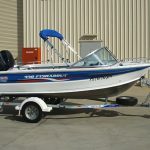 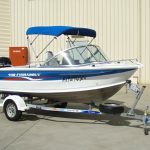 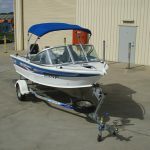 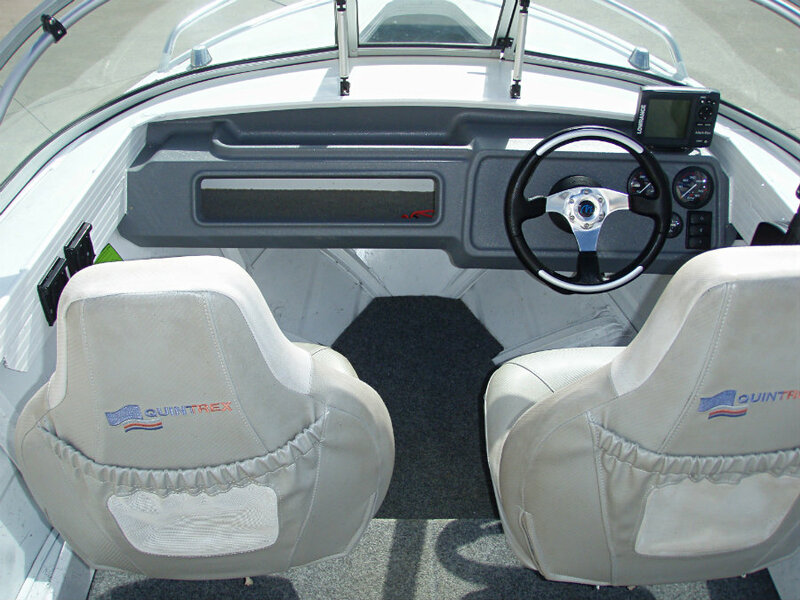 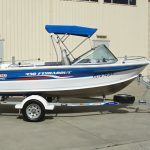 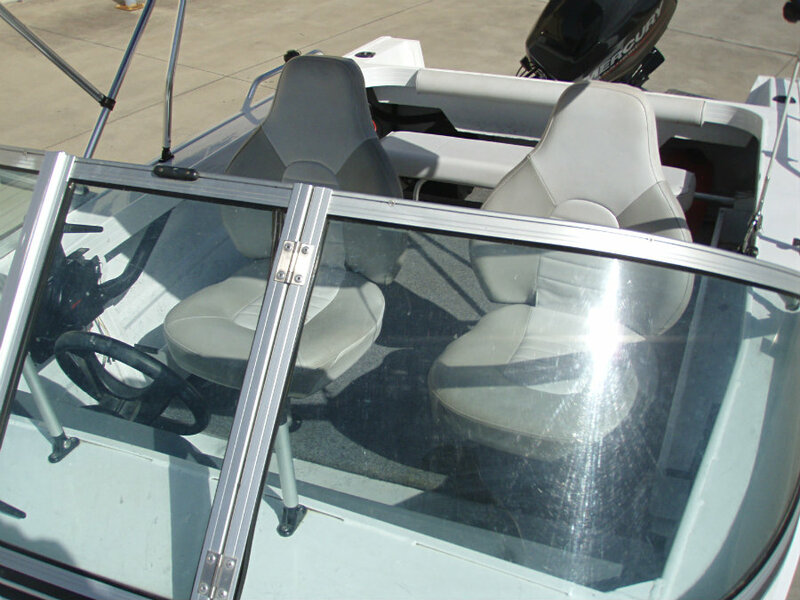 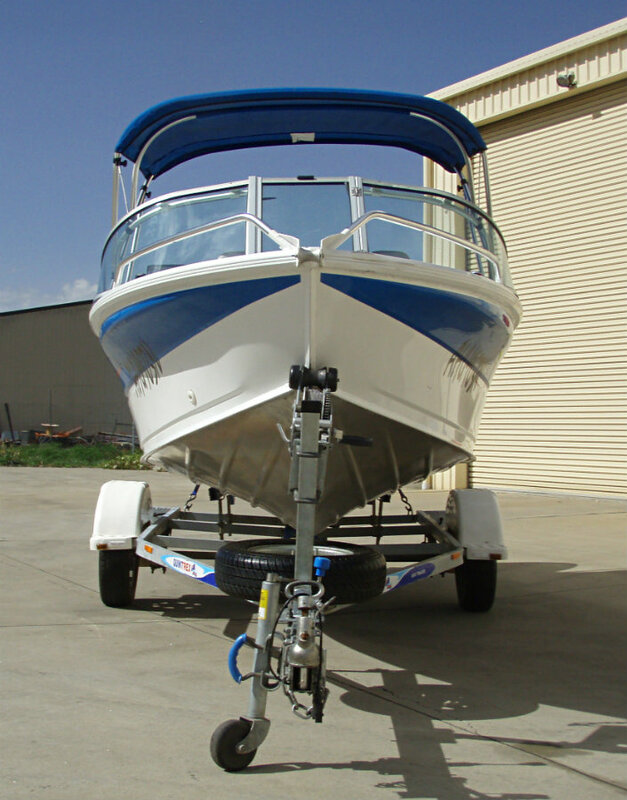 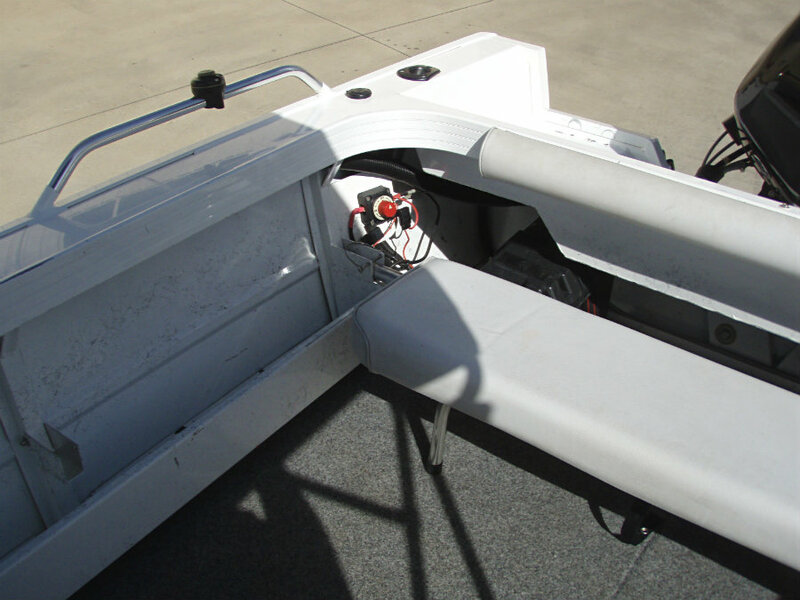 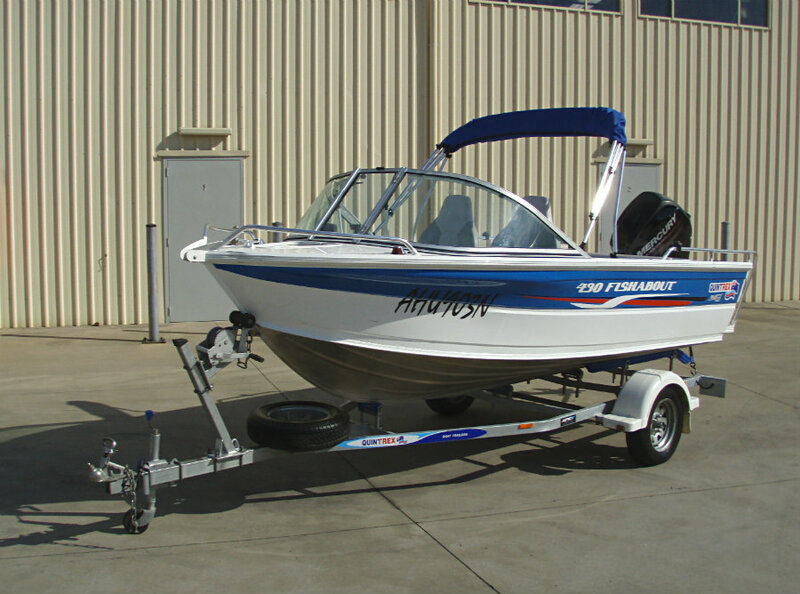 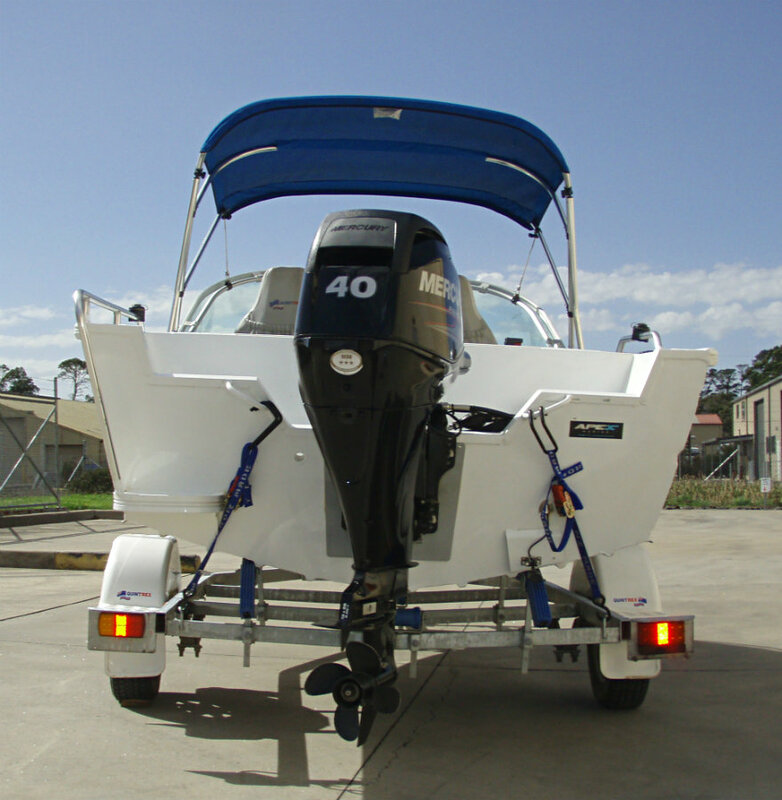 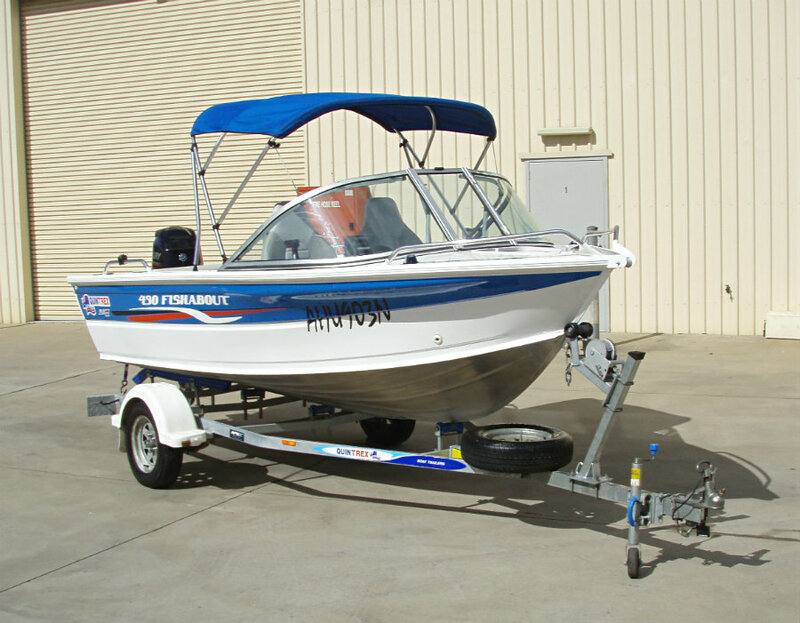 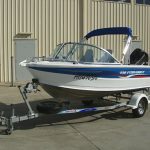 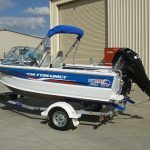 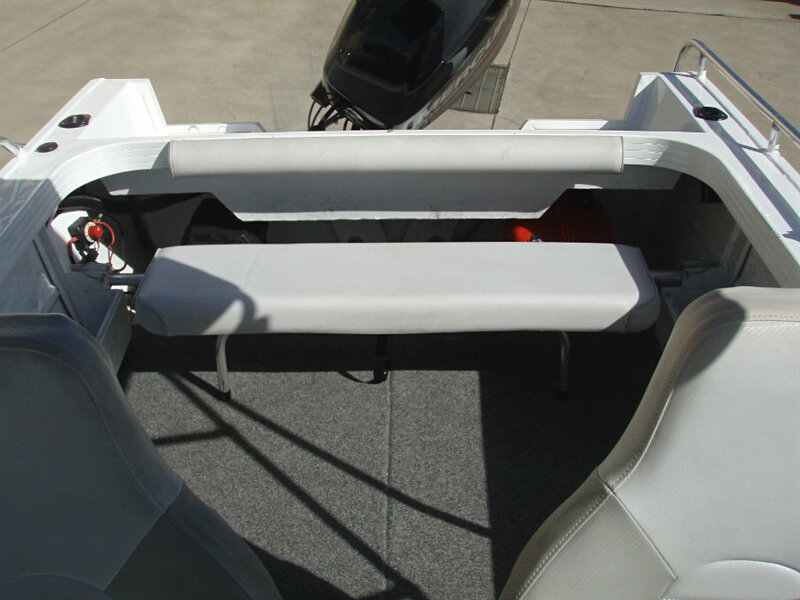 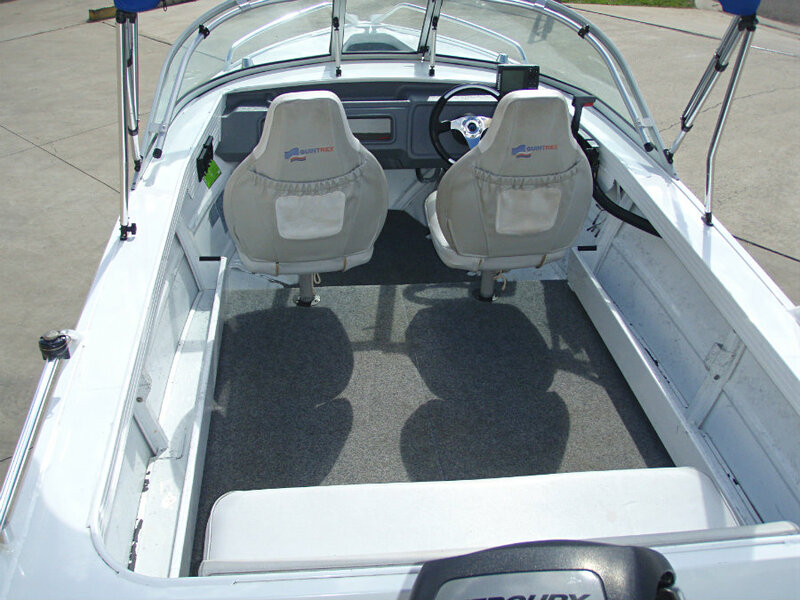 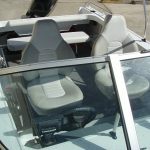 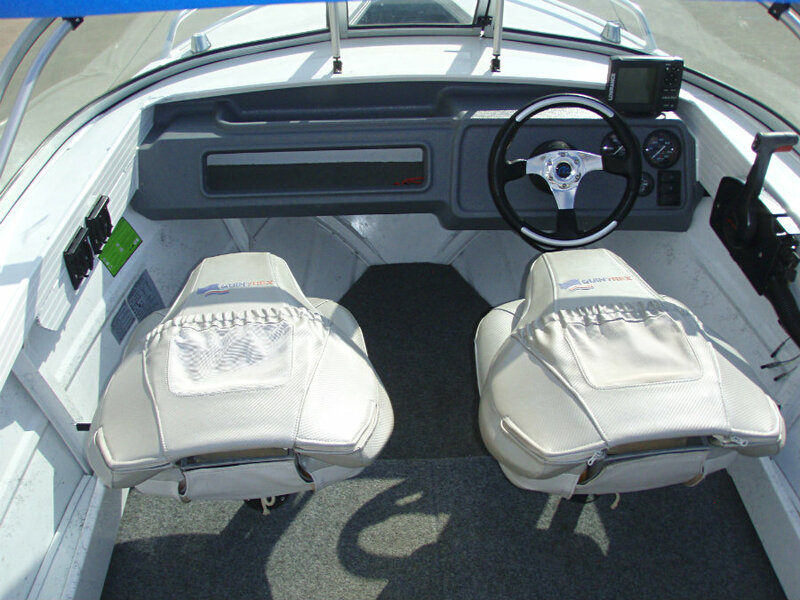 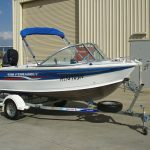 This is a one-owner boat which was purchased new in 2014 and maintained and serviced regularly. 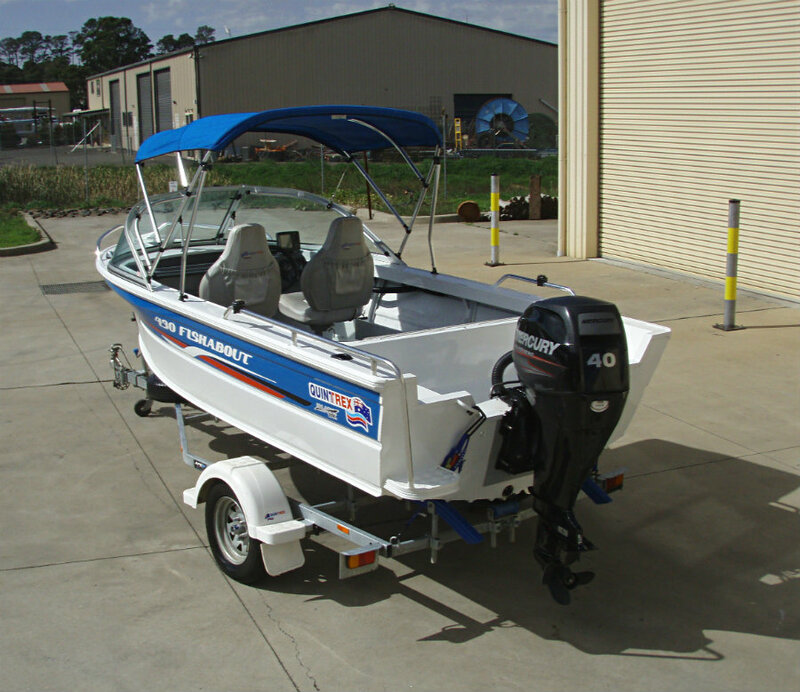 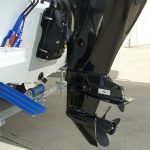 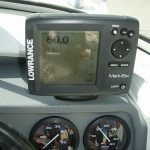 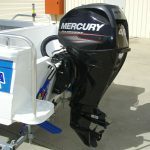 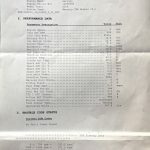 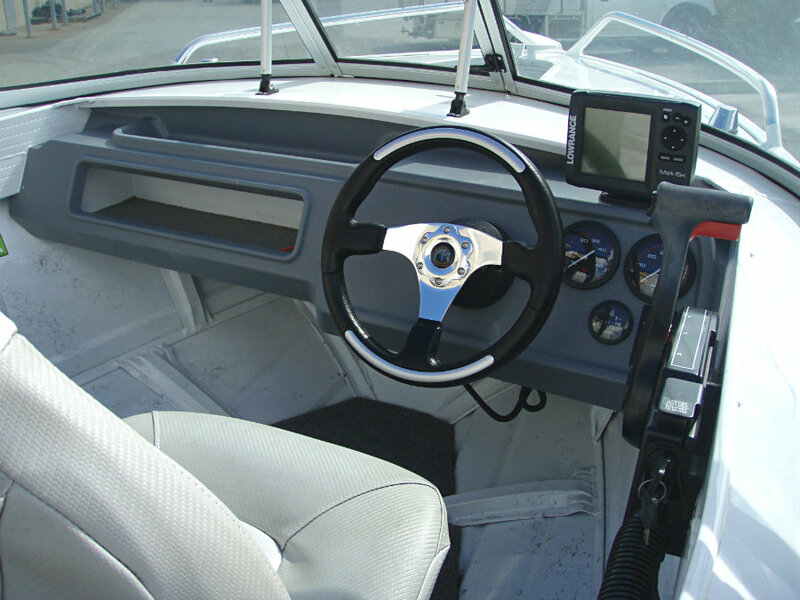 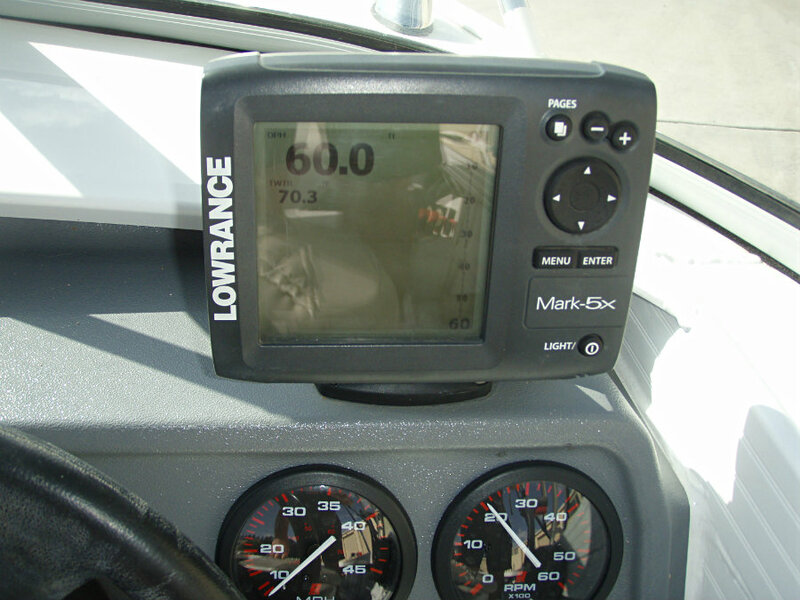 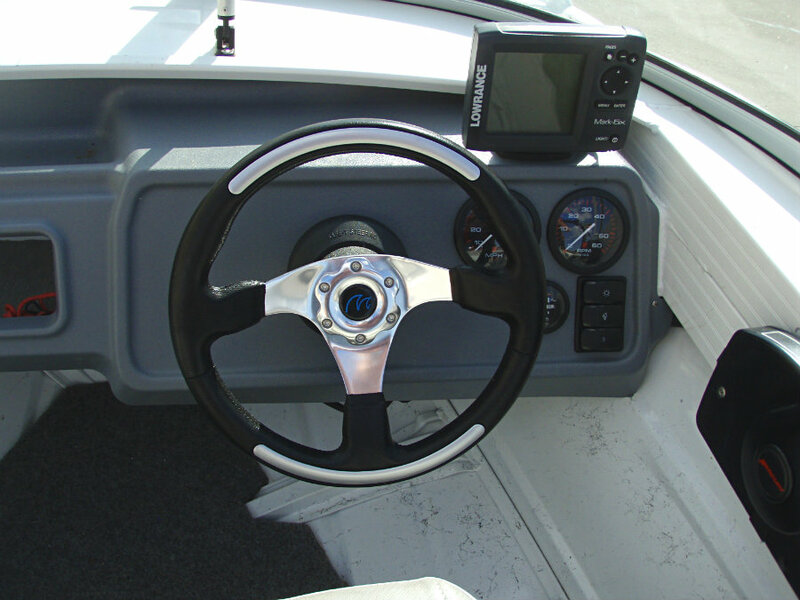 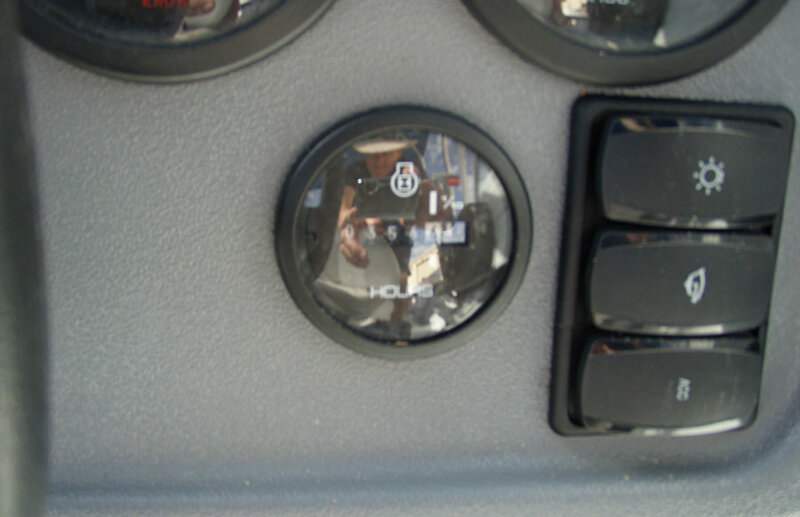 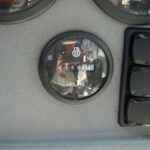 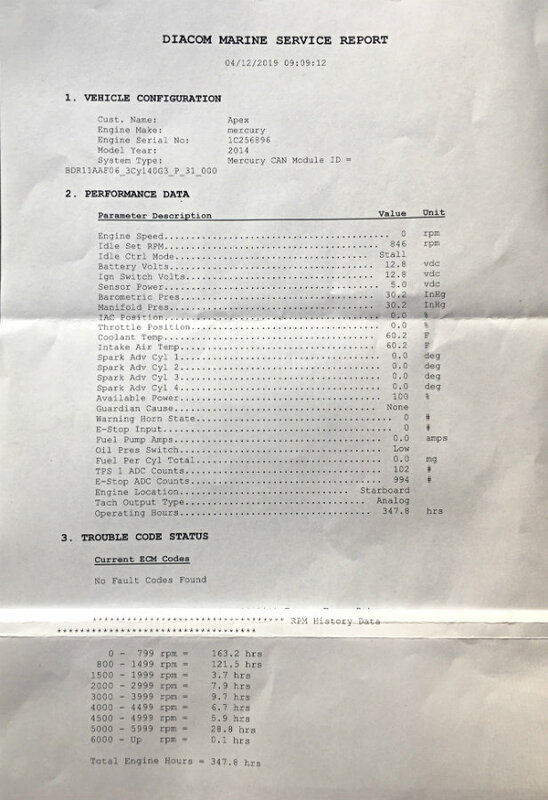 The boat is in excellent condition and has only been used in freshwater environments, mainly Hume and Dartmouth dams, with most of it’s engine hours spent trolling only, as shown on the engine diagnostic report. 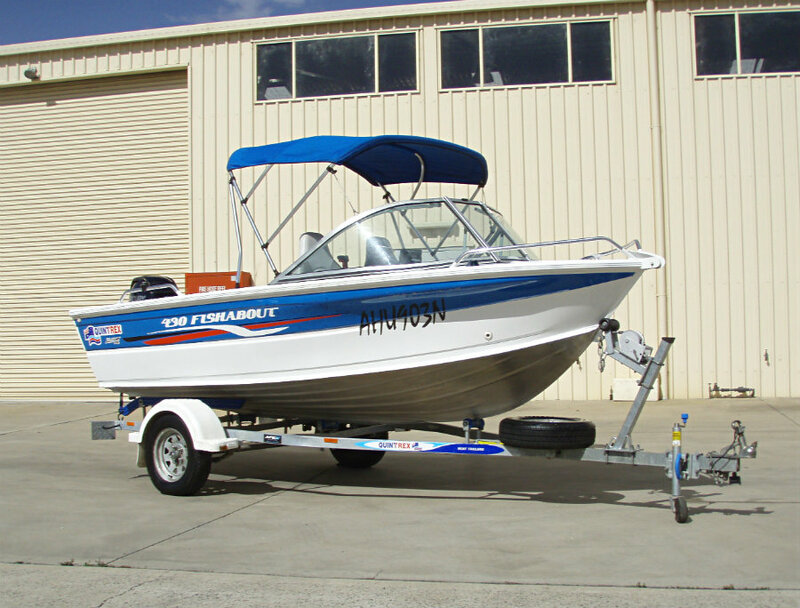 With it’s annual service just completed this fishabout is ready for another year’s fishing and family fun. 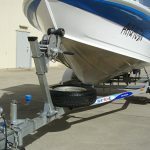 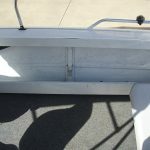 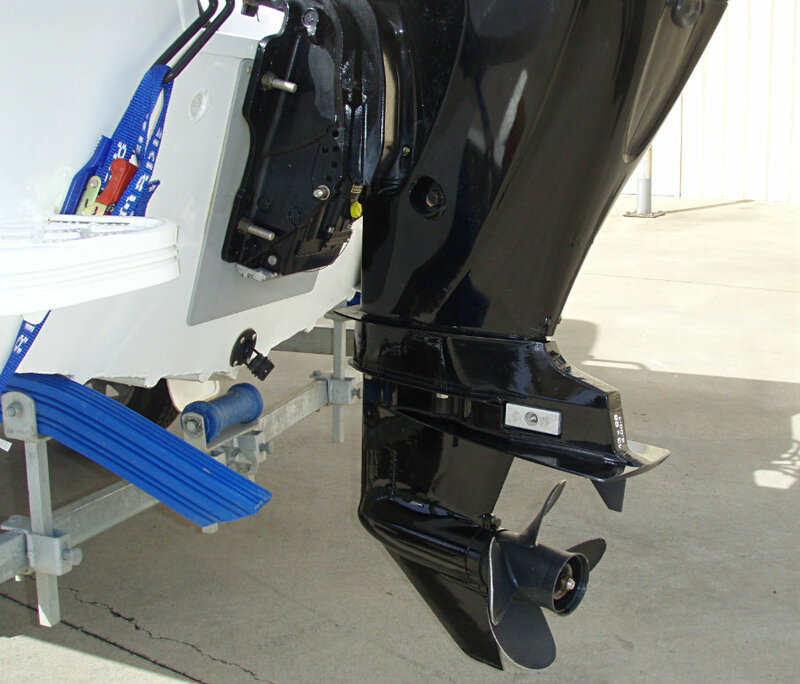 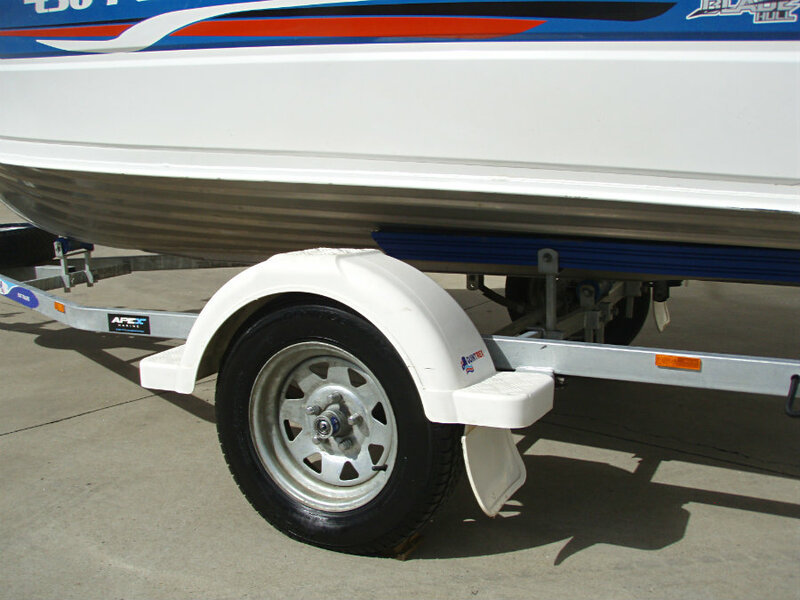 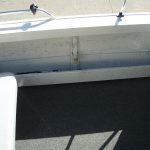 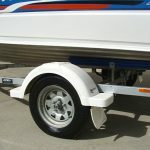 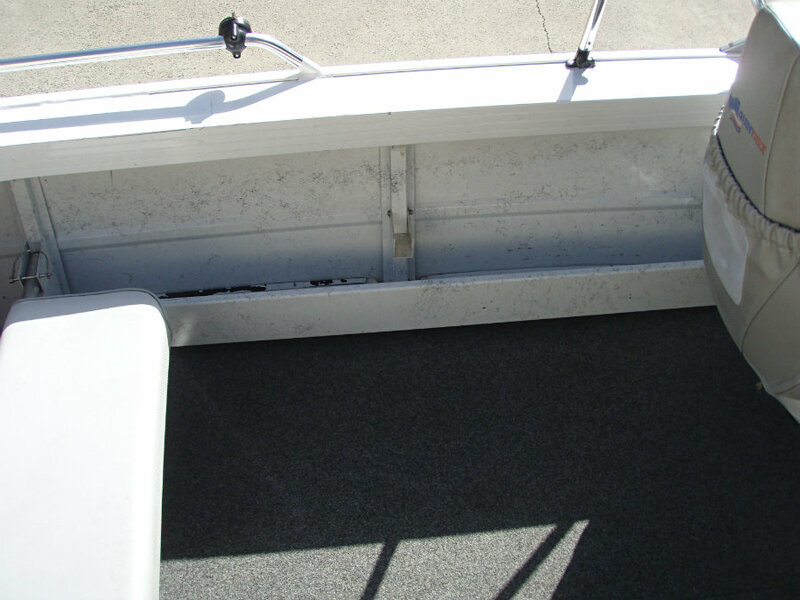 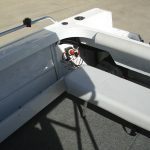 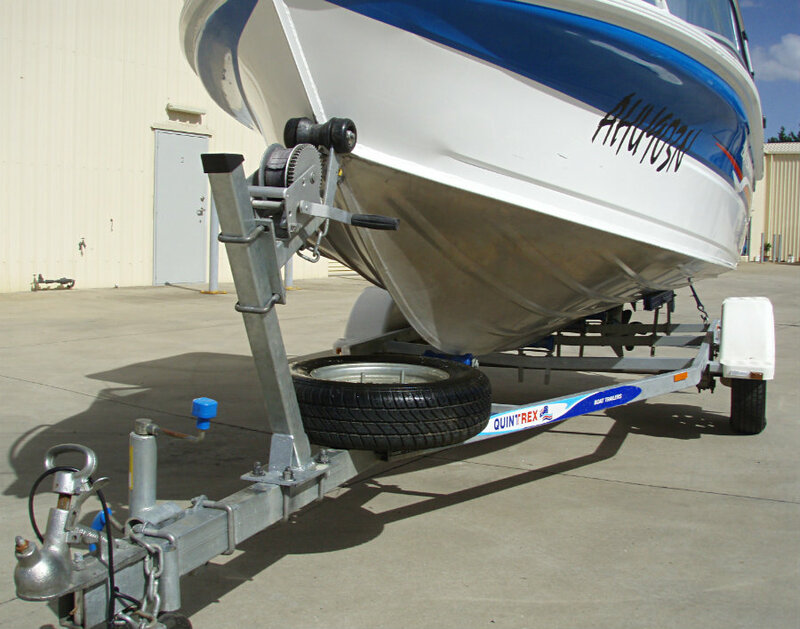 There is absolutely ‘NO SALTWATER’ corrosion to be seen on this boat and trailer. 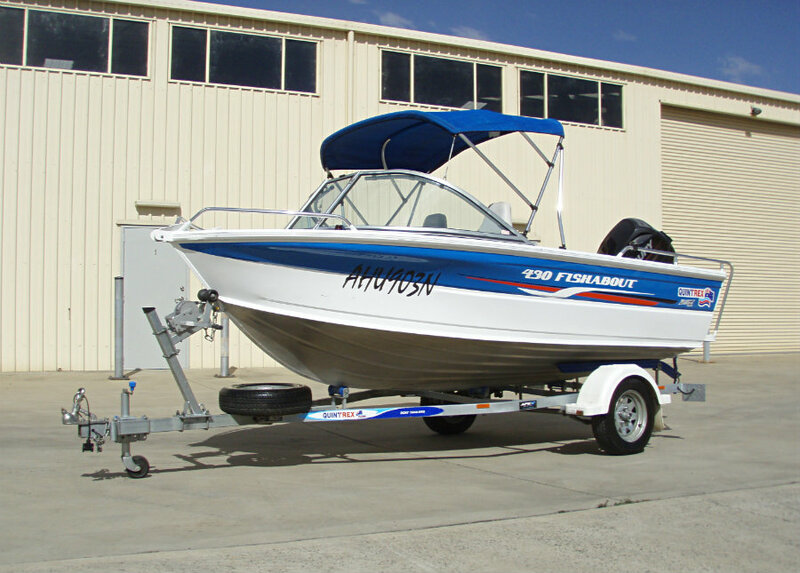 Both the vessel and trailer are NSW registered to April 2020 & July 2019 respectively.